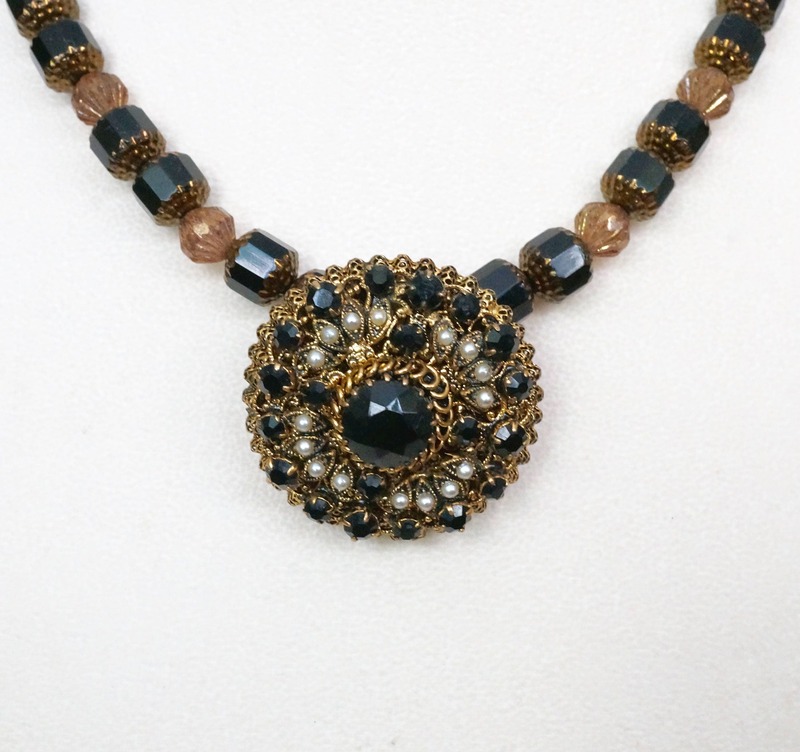 Here you have a statement necklace made with a repurposed vintage brooch, in black rhinestones and faux pearls. 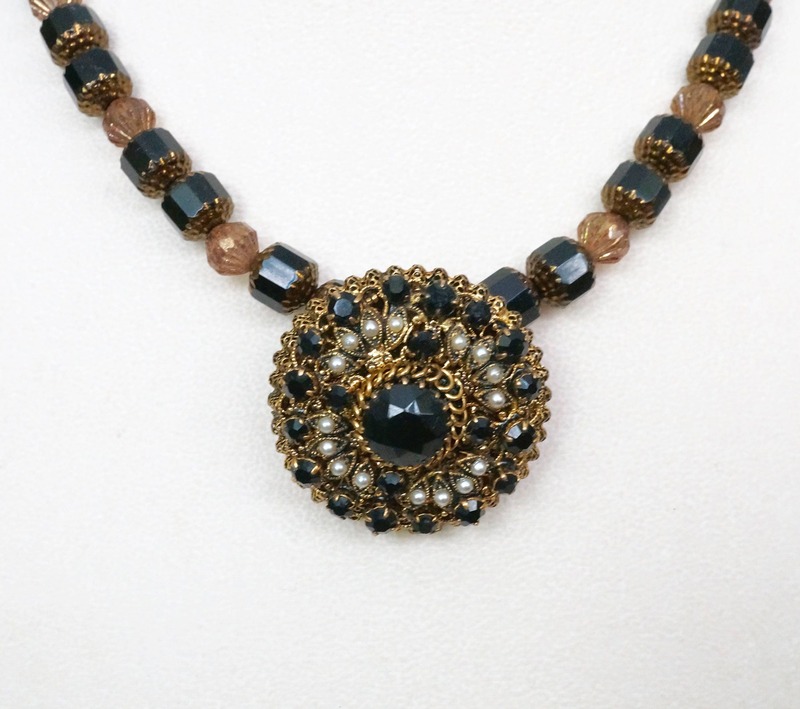 The necklace part is made of Czech black cathedral beads and bronze spacers. 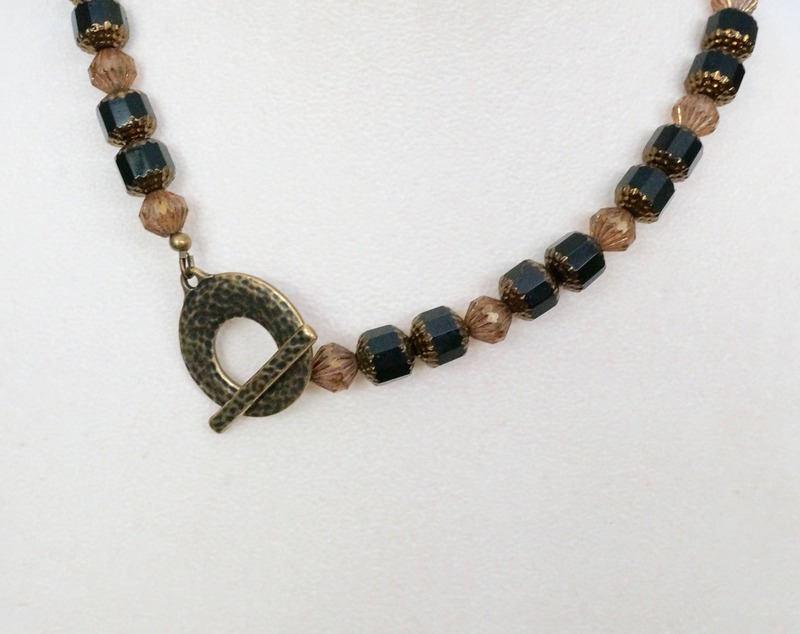 It closes with a brass toggle clasp. 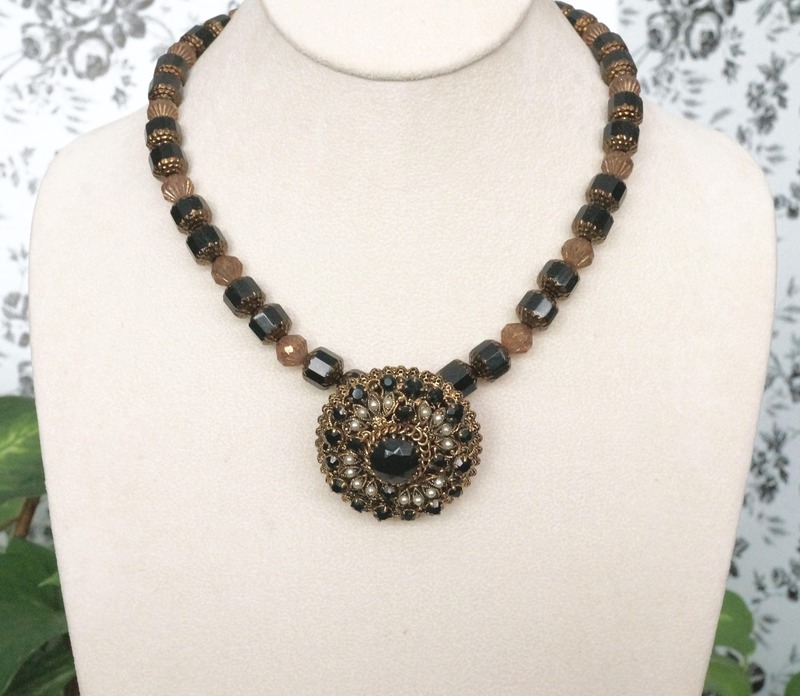 It measures 18 inches.